How Far is Jain's Carlton Creek? Jain's Carlton Creek, a residential project in Hyderabad is developed by Jain Housing & Constructions Ltd., Project will catch your eyes at the first look, a star in the sky of Hyderabad city which fulfills your desire of perfect home in Hyderabad city which is beyond your expectation The innovative and stylish design indulged with the best architecture surrounded by serene environ. The project is loaded with a plethora of modern-day amenities and best in class features to make the occupants living hassle-free life at Jain's Carlton Creek. An ideal place for living in Hyderabad since it has all from a strategic location to carefully crafted amenities, everything is well planned and elegantly designed for the benefit of the residents. Each corner of the project has a mesmerizing design with lavishness in every nook and corner, come and be a part of this project, just relax and enjoy leisure time with family and friends. 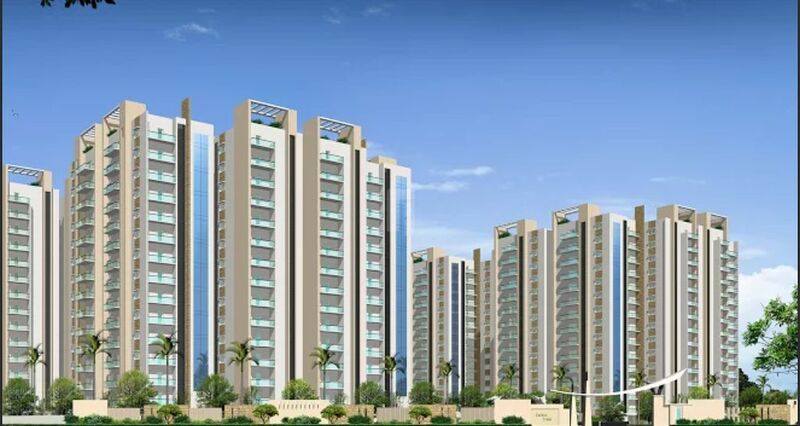 Jain's Carlton Creek offers apartments for sale in Gachibowli, here you can find 2BHK,3BHK, and 3.5BHK apartment. The size of 2BHK apartments is 1053 Sq ft,1364 Sq ft and the super built-up area of 3BHK apartments varies from 1380 Sq ft to 2315 Sq ft and the size of 3.5 BHK apartments is 2343 Sq ft, 2556 Sq ft. The project offers apartments in Gachibowli along with amenities, some of the amenities are Aerobics, Basketball court, Billiards, Children’s Play Area, Covered Car Parking, Creche, Jogging Track, Health Club and Multipurpose Hall. ire Hydrant etc., as per norms.